The seventh World Yacht Racing Forum will take place in Barcelona over 10-11 December with the support of FNOB (Fundació Navegació Oceànica Barcelona), organiser of the Barcelona World Race. This year's event will be centered around the theme 'Growing the Business Of Yacht Racing'. Subjects debated will include the diversification of the sport, yacht racing in emerging markets, sponsorship, sailing class management and much more. The initial list of speakers, including some of todays’ greatest actors from within the yacht racing industry, will be disclosed soon. The World Yacht Racing Forum WYRF provides the chance to discuss the issues facing the sport and to benefit from each other’s expertise and experience. It also facilitates business development through providing quality networking opportunities with decision makers from all areas within the industry. 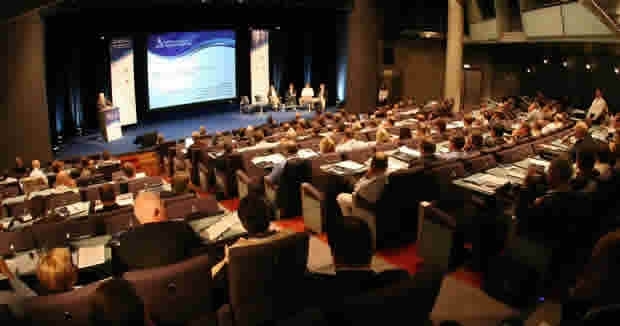 The World Yacht Racing Forum 2014 will take place ahead of the start of the Barcelona World Race, with the support of FNOB (Fundació Navegació Oceànica Barcelona). It will be a perfect opportunity to visit the boats involved in this race, and to meet its sailors. Barcelona is an easy-to-reach and cost effective venue, located in the center of Europe. It is the capital and largest city of Catalonia and Spain's second largest city. Once again the event will be co-located with the Yacht Racing Design and Technology Symposium which will take place concurrently with the WYRF on December 10th. The YRDTS brings together the designers, builders and leading technical experts across the yacht racing industry. Key topics this year include innovation in high performance superyachts, foil design, role of R&D, Innovations in AC35 and cost reduction to develop affordable, accessible racing yachts.